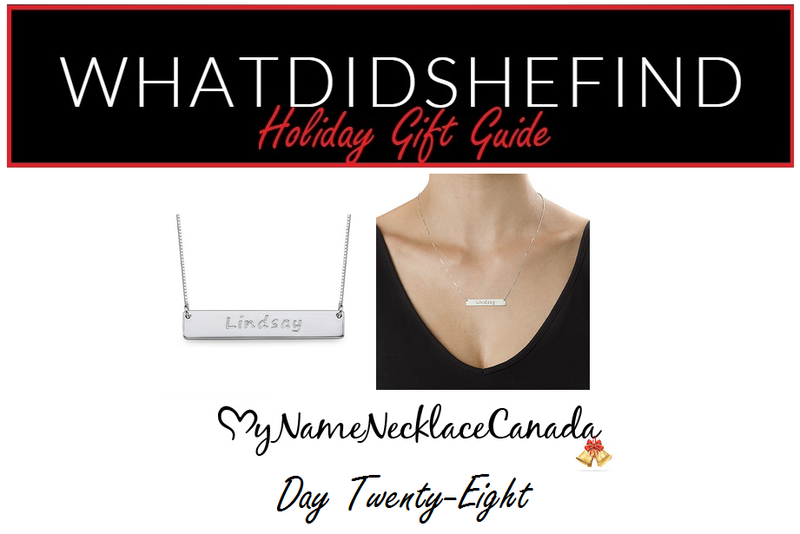 Another fun, personalized gift idea, is this Sterling Silver Bar Necklace from My Name Necklace Canada. For just $29.99 CDN, (plus free shipping! ), you can engrave any word or name (up to 11 characters), and choose between 5 box-chain lengths (ranging from 35-55 cm). Be sure to check out the other fun items offered on their site: I’ve blogged about some of them here and here. Today’s gift is so pretty, you don’t even need to wrap it (in fact, you can just hang it on the tree!). For just $10.00, these adorable Victoria’s Secret Eau de Parfum Ornaments make the perfect gift for friends and co-workers. Each sparkly ornament comes with a 7.5 ml fragrance inside (you can choose from a variety of scents). Grab your friend’s signature fragrance, or give her the opportunity to test out a new one, without having to commit to a full bottle. And maybe grab one (or two, or three) for yourself while you’re at it. I recently purchased a pair of gorgeous leopard Sperry Top-Sider loafers, (picture above left, or view them hear on Instagram), at the Canadian National Exhibition. The style name is “Hayden Penny Leopard”, and they are leather with a calf-hair upper, and skid-resistant bottoms. I purchased them for $60.00 (including taxes). I’m already a fan of Sperry Top-Siders, and love the quality and durability that comes with owning a pair. 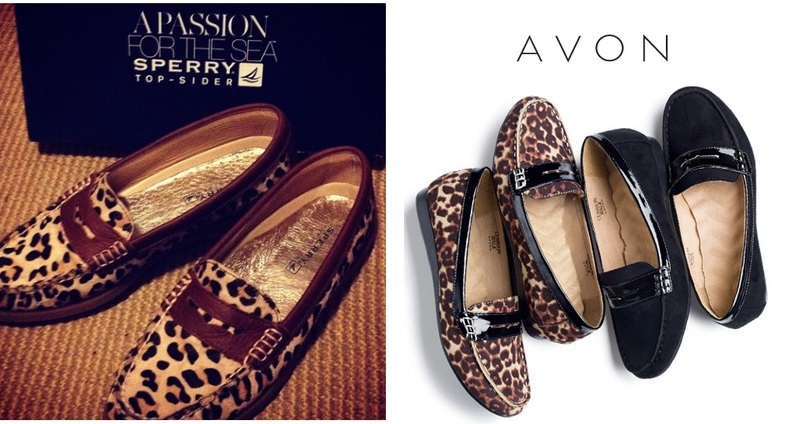 When browsing the latest Avon book, I couldn’t help but notice the striking resemblance my Sperry’s have to penny loafers found in the most recent campaign. For about half the price (currently on sale for $29.99), these are an awesome vegan alternative which are sure to be just as comfortable (they are part of Avon’s “Cushion Walk” line). And, if you’re not into leopard, they also come in classic black!